If you are looking for fast, affordable, and reliable lock installation services, look no further than the experts at Pros On Call. We can help you choose from a wide variety of top brand name locks to keep your home safe! Call today and learn more about the residential lock installation services we offer! Our residential locksmith experts are available to install new locks for you 24-hours a day. So whether you are looking to update your system or need emergency services after a break-in, we are always available to assist you. A professional locksmith can help you in all sorts of ways. Even the strongest lock won’t do a whole lot of good if it is not installed properly. Whether you have kids at home doing their homework or you have left for a family vacation, you will have greater peace of mind knowing that you have relied on our licensed and experienced locksmiths to install your locks the right way. We will work with you on choosing the right locks. We can also provide you with a complete home security audit to tell you more about what is needed to secure your home to the fullest. We’re happy to work with every budget and provide you with just what you need! Our recommendations are always transparent and our prices are always upfront. At Pros on Call, we’re professional locksmiths with years of experience. This allows us to offer high-quality services regarding your locks. New lock installation involves removing old hardware and installing new locks using precise measurements and precision drilling. We use state of the art equipment and have all the supplies in our vans to get the work done right away. You bet! 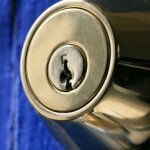 If your current locks are in good condition you may want to consider having your home locks rekeyed instead. Or, if you want new locks on a door frame that does not already have a lock installed, we can provide fresh lock installations for you. Did you have a key break inside a lock? This happens when keys are old or locks have not been properly lubricated and maintained. When you have a key break, we can provide the key retrieval and replace the entire key and lock system so you don’t encounter that kind of problem again. And of course, you can rely on our lightning fast lock repair services after a break in or a severe storm has left your locks damaged. Whether you want to go with the same kind of lock that you had or you want something more advanced, we can help. Our experienced locksmiths are always learning about the latest in home security and this provides you with the best help you could ask for. We’re also able to provide you with home lockout services. If you lost your key or can’t get your door unlocked for another reason, call us! We can have an emergency locksmith out to you in no time at all. At Pros on Call, we are pleased to work with some of the top manufacturers of locks. This includes high-quality locks as well as ones that use smart technology. Whether you want new deadbolts, mortise locks, high-tech locks, or anything else, we’ve got the tools and the skills that you need. 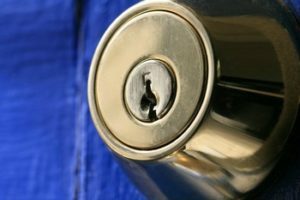 Basically, when you are looking for lock installation or any other lock service for your property, we are happy to provide you with an in-home consultation in order to discuss your options. Call today to schedule time with one of our professional locksmiths or request emergency assistance. Lock Installation https://prosoncall.com/locksmith/residential/installation/ 3.9/5 based upon 28 reviews.